The International Centre for Settlement of Investment Disputes (ICSID) has proposed several amendments to its initial “proposals for amendment of the ICSID Rules”. Most notably, ICSID has revised its recommendations with respect to rules concerning provisional measures, disqualification of arbitrators and transparency. The existing Arbitration Rules do not prescribe a test for recommending provisional measures. ICSID’s first working paper proposed that, for the purposes of deciding whether to recommend provisional measures, arbitral tribunals “consider all relevant circumstances” and also whether the requested measures are “urgent and necessary”. ICSID’s revised proposal incorporates an additional factor, which is that tribunals consider “the effect that the measures may have on each party” (the so-called “balancing test”). The Centre has also revised its proposals on transparency, which previously were based on the doctrine of “deemed consent”. ICSID had recommended initially that awards and annulment decisions be published within 60 days of dispatch unless a party objects to publication. Following feedback on its proposal, ICSID has now dispensed with this recommendation. Another notable change relates to the rules concerning disqualification of arbitrators. Initially, the Centre had proposed that proceedings continue pending a decision on a challenge and that, in the interim, challenged arbitrators be permitted to take part in the work of the tribunal. The revised proposal recommends that proceedings be suspended, unless the parties agree that the proceedings shall continue pending a decision on the challenge. 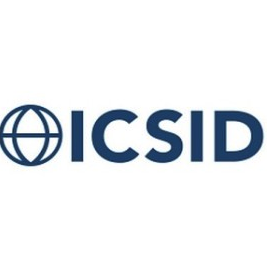 ICSID’s revised proposals will be discussed by “State experts” at meetings scheduled to take place between 7 and 9 April 2019. A final proposal will be sent to the Member States, with a view to facilitating a vote on the amendments in October 2019. ICSID’S most recent working paper can be found here.